Humayun Saeed is finally going to star opposite none other than Ayeza Khan and this is one pairing we all want to see on our screens. 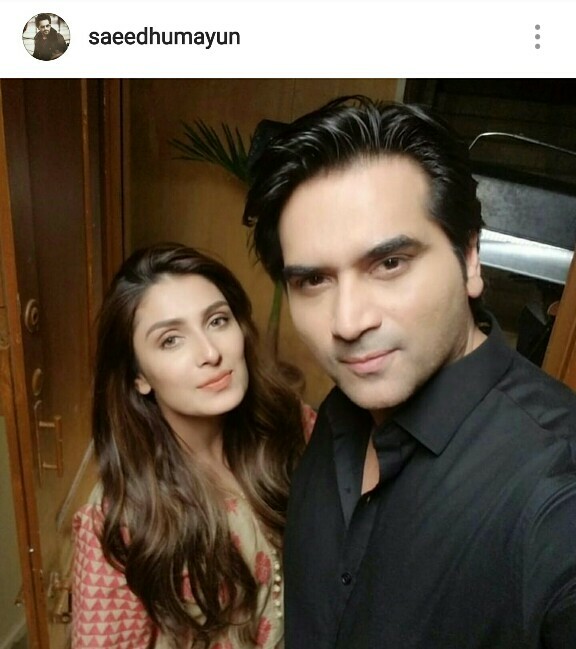 Humayun Saeed has been a hit spree for quite a few years now and the same can be said for Ayeza Khan too. Both the actors have been giving us back to back great projects and now we will see them starring opposite each other. Ayeza Khan and Humayun Saeed will be seen starring together in the drama Meray Paas Tum Ho. This will be Humayun’s comeback to television after Dillagi which was a major hit. Ayza, on the other hand, is seen right now in the TRP chartbuster Koi Chand Rakh. Well, Ayeza Khan is one dedicated lady, that is a sure fact. She has always been her hundred per cent whether it is her personal or professional duties which shows that Ayeza Khan is nothing but goals for all the young ladies out there!